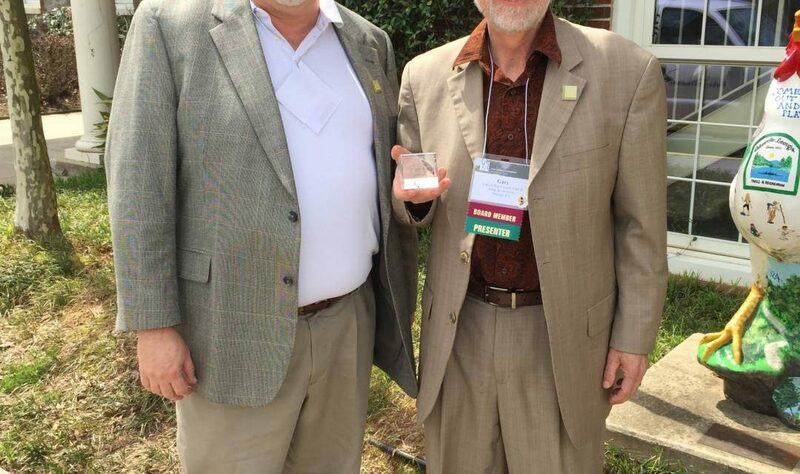 A mentor and friend to many of us, Gary Cornell, FAICP, received a GPA Service Award for his years of service as the chapter’s Professional Development Officer (PDO) at this year’s Spring Conference in Gainesville. Gary has served as the PDO since 2005, and in that role has led the chapter’s AICP certification and maintenance efforts with distinction. 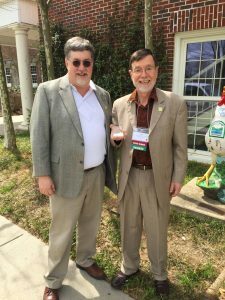 Every year he has facilitated the chapter’s AICP preparation course traditionally held at Georgia Tech in the winter, an event which draws planners from throughout the state and even from adjacent states. Gary has been a routine speaker at GPA conferences, particularly leading sessions on ethics and AICP preparation. Gary also served as GPA President in 2003 and Past President in 2004. Gary recently retired from full-time planning from Jacobs in 2017, where he led a number of high profile projects around the state and region, and most recently served as Planning Director for the City of Chamblee. Since then he has continued to keep active in our profession by leading a Design Studio at Georgia Tech, and taking on a few private consulting projects under the name of his own company, Community Planning Services, Inc. Thank you to Gary for his dedicated service in multiple roles with GPA leadership. It was also announced at the Spring Conference that Ariel Godwin, AICP, will serve as the new PDO. Ariel is a Senior Planner with the Southern Georgia Regional Commission in Valdosta, and has been working with Gary over the past 6 months to learn the duties and responsibilities of his new role on the Board of Directors.